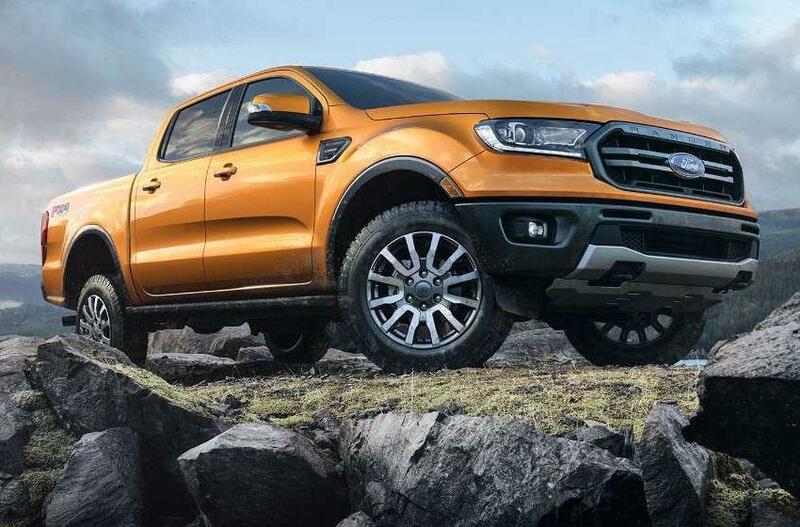 ﻿﻿﻿﻿﻿THE NEW 2019 FORD RANGER﻿﻿﻿﻿﻿. 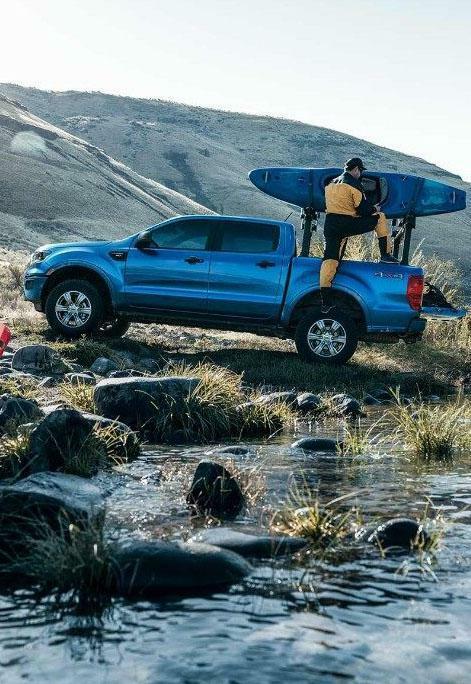 The all-new 2019 Ranger has been tested to the standards of Built Ford Tough®. It shares a heritage of toughness, durability and capability derived from over 100 years of Ford Trucks’ relentless focus on engineering excellence. U.S. Pre-Production Model Shown. Available Early 2019. Try to avoid water higher than the bottom of the hubs and proceed slowly. Refer to your owner’s manual for detailed information regarding driving through water. This is what freedom looks like today. The all-new 2019 Ranger is tough enough and capable enough to leave civilization far behind — because adventure begins where the road ends. This package features a status screen that lets you monitor the pitch and roll of the truck and steering angle of the front wheels. Bash and skid plates help protect the undercarriage from damage. All-terrain tires feature an aggressive tread pattern for better traction off road. Brake and throttle control can be difficult over rough or rocky terrain. Available Trail Control™ is like an off-road cruise control. With the push of a button it engages the engine, transmission, and brakes maintain a constant speed of between approximately 2 and 24 km/h. The available Terrain Management System™ lets you shift on the fly into one of four modes – Normal, Grass/Gravel/Snow, Mud Ruts or Sand mode. Each mode has specific mapping for the throttle and transmission, which adjusts throttle tip-in and shift points. The available rear-locking differential is designed to be used at low speeds on low-traction surfaces. It provides excellent off-road performance in mud, snow, sand or gravel. It also excels on steep or slippery grades such as boat ramps. The standard 2.3L EcoBoost® engine with Auto Start-Stop technology is designed to optimize power using turbocharging and direct gasoline injection. It’s also paired with the innovative 10-speed automatic transmission. 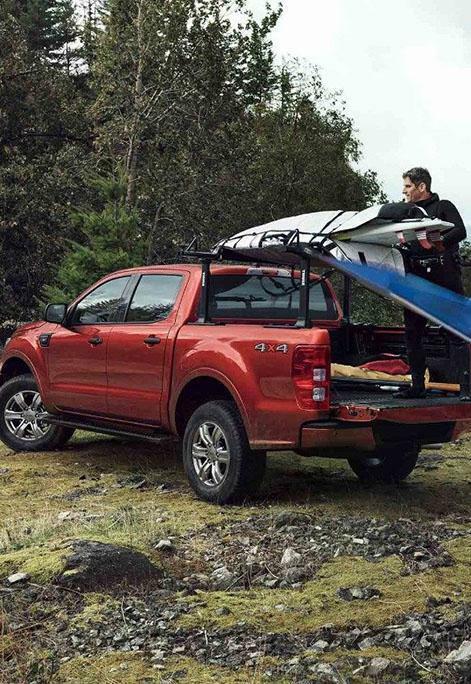 The all-new 2019 Ranger features a number of truck-assist technologies that help make driving a little bit easier and adventures a lot more fun. STAY CONNECTED. EVEN OUT HERE. 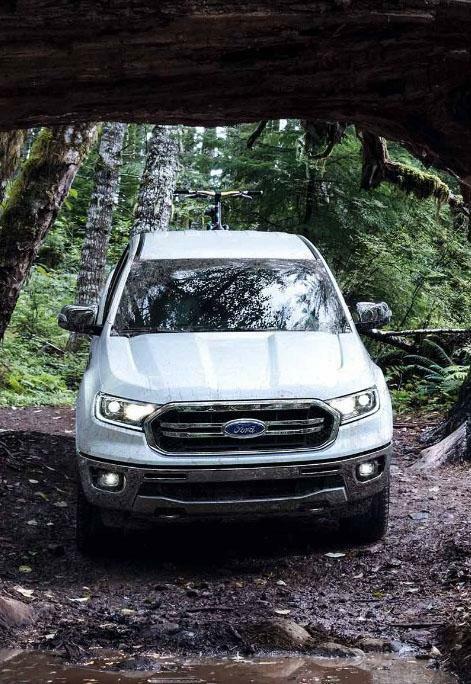 The FordPass Connect™ feature in the Ranger creates an in-vehicle Wi-Fi hotspot to which you can connect up to 10 devices, so your passengers can stay in touch wherever you roam.112 You can also use FordPass™ to keep track of your Wi-Fi data usage. The hotspot can be accessed up to 50 feet outside the vehicle.